The Mouse Connection: A FREE Souvenir? Is there such a thing? A FREE Souvenir? Is there such a thing? Yes! Disney will send you a large, beautiful set of park maps free every 6 months. The maps measure approximately 20" x 14" and are printed in color on a nice quality paper. 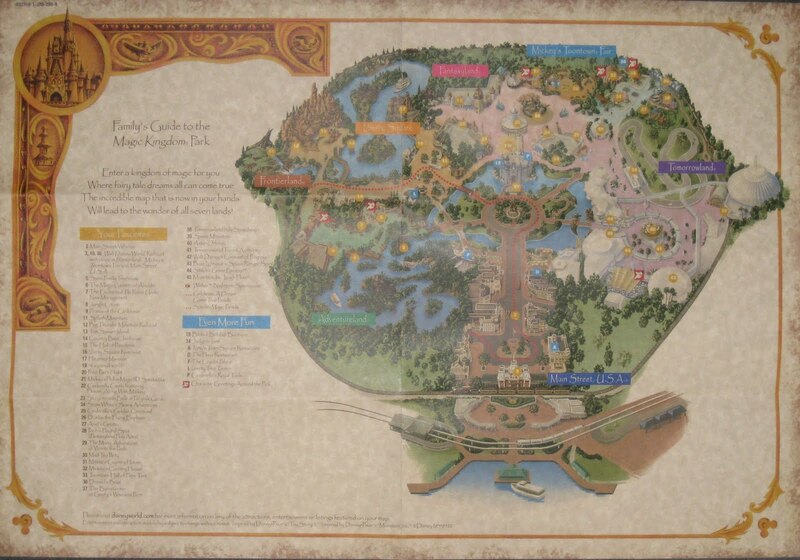 You can order a map for each of the major theme parks. Each map can be customized with your favorite attractions as well as your family's name. You can choose one of two themes for your maps: Classic or Character. The Classic map is printed on a parchment style paper with a gold border accented with Hidden Mickey silhouettes. The Character themed map includes a picture of Dumbo, Nemo, and Woody. Disney will also include a map of the entire Disney property as well as a few tips for park goers. The maps are too large to be useful in the parks, but are great for planning. Order a set a few months before your trip with all of the attractions listed so that you can map out your touring plans. A few months after your return, order another set and only list the attractions that you visited as a way to document your trip. If you are a scrapbooker, I expect you are already scrolling to the bottom of this post to find the link to order! As you should! They pages are perfect for a background or a standalone page, but you will have to trim them to fit. The pages are not listed as acid free, so assume they are not. The maps are also great tools for younger children. 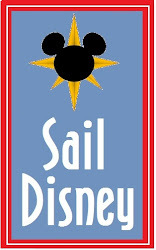 They will not only be a nice introduction to the parks, but a nice way to each children about reading maps. The Magic Kingdom map is especially useful for this purpose. Be careful using Epcot maps as a teaching tool...you enter the park from the north, not the south as usually depicted on maps. Try explaining to your 7 year old why Innoventions East is on the left side of the map and Innoventions West is on the right side! A final note, be aware that these maps are "Disneyfied" and are not perfectly accurate or to scale. In lieu of parking lots and other not-pretty-things, expect to see a forest or nice grass land. If you want true accuracy, or to see how close the Haunted Mansion really is to it's a small world then check out Google Earth. 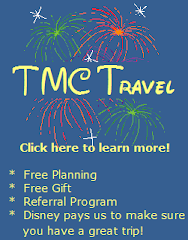 TMC Travel website is now live! We are now easier to find!